Campus visits are the best way to experience our incredible 50-acre campus and all that our community has to offer. We look forward to welcoming you and answering your questions about life and learning at HSC. Come and learn more about HSC! Our Open Houses provide an opportunity to meet with faculty and staff, and enjoy tours of the campus led by members of our Student Ambassador team. 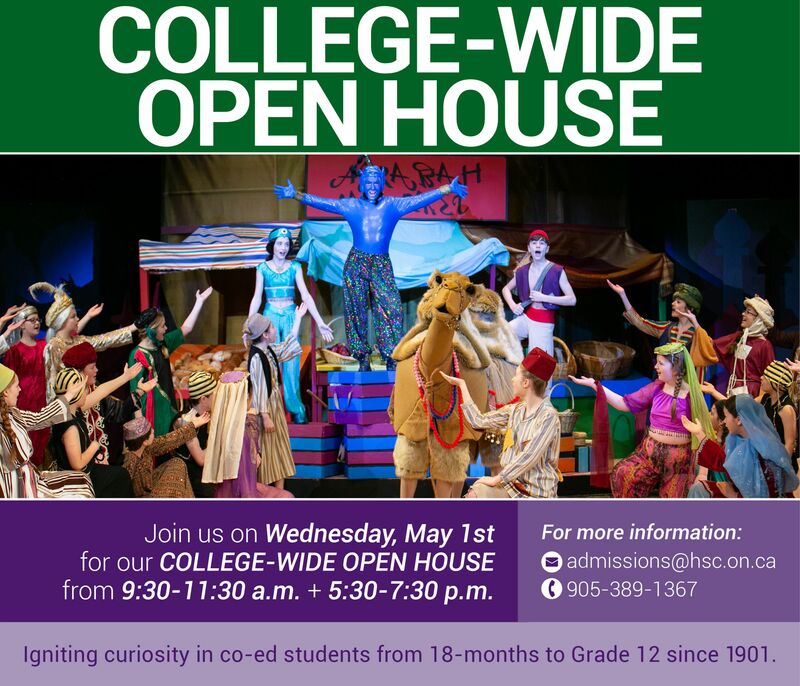 If you cannot attend an Open House, please contact the HSC Admissions Office at 905-389- 1367, ext. 160 to arrange a private tour. *All Open House times are from 9:30 a.m. to 11:30 a.m. and 5:30 p.m. to 7:30 p.m.